On this page you will see links to different training articles I have written over the years. Several have actually been published in many online and paper magazines. They are not the typical types of training that many do. So take a look. 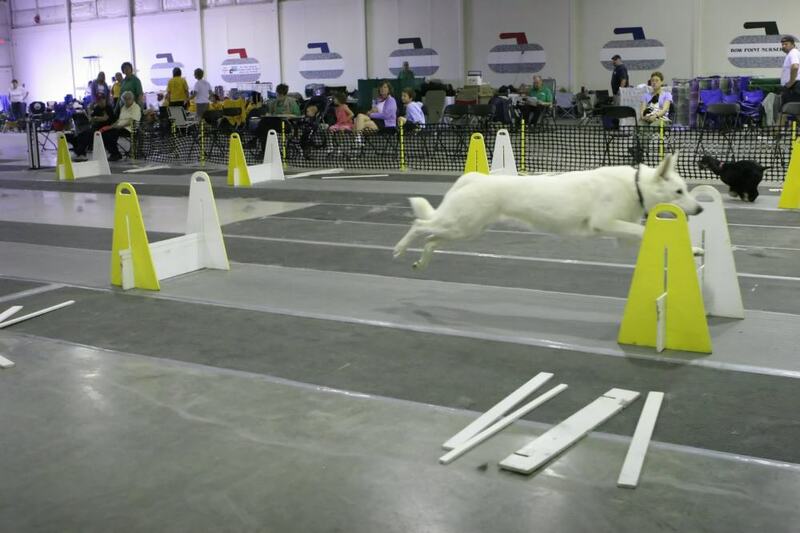 Many of my adopters have encorporated these training techniques in their homes with their dogs with great success. 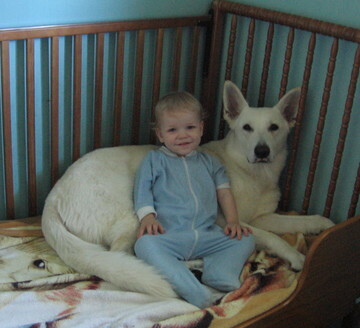 This will take you to a page about basic information about raising a puppy. 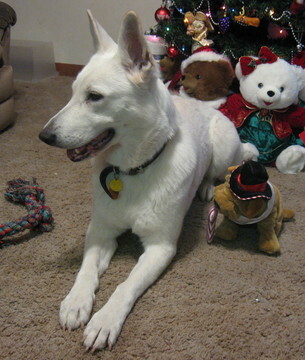 You will find information on Crate training, nutrition and toys. 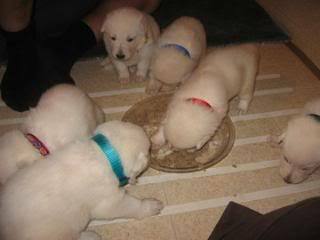 If you are new to owning a puppy this would be a good section for you to check out. This will take you to my article on how to train your pup or dog to use a potty pen. This is not an exercise yard. This pen looks like a mini corral(though you can make it out of anything you like) and has a permanent opening at one corner. 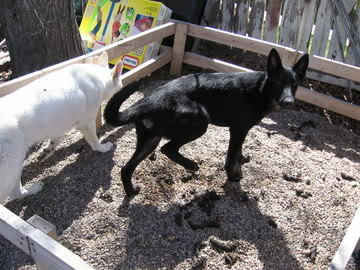 The pups and dogs are trained to relieve themselves only in this pen. Over time they learn to do it with 0 supervision and no commands. This will take you to my article on how to train a dog or puppy to ignore your childrens toys and only play with their own toys. 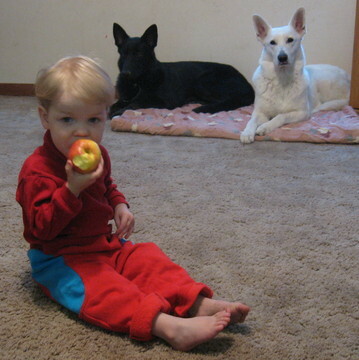 For families who have both kids and dogs this type of training can be very helpful. 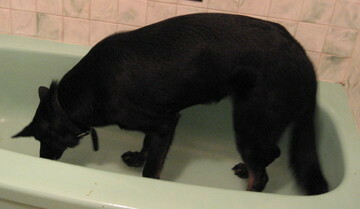 This will take you to my article on how to train your dog or puppy to throw up in a tub or shower. This may sound like a silly thing to train for but when you dog is sick, and all of them get sick at some point, whether from eating grass, digestive issues or illness you will be very thankful you did train for this as it will make clean up so much easier lowering your stress of what is happening and that will help the dog have less stress. Baby? Aren't I The Baby? Oh Please Can I Have Some? This will take you to my article on how to prepare a puppy or a dog for a new addition to the human family. One of the leading causes of dogs being given to shelters or pounds is a pregnancy. Well just as you have 9 months to prepare for the arrival of a baby you also have 9 months to prepare your 4 footed family members as well. This article was writtne in the hopes of keeping canine family members in the home and reducing the amount ending up in shelters. This will take you to my article about how to train a dog or puppy not to beg. This is important whether you are a single person or have a family. As this also helps lead into training them to not steal food when you are not looking as well. 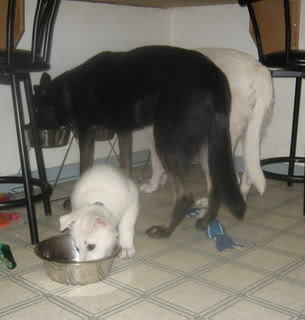 This will take you to my article on how to teach dogs and puppies about how to behave during meal time preparation as well as when they are released to go eat. No being barked at, no being tripped as they are dancing around, no dropping food because they are jumping up. This teaches them how to wait calmly as you prepare their meal and then serve it.